It was inevitable that mum’s side would want to know more detail about how and why their beloved sister and Aunty passed away so young when we reunited with Aunty 6's kids. 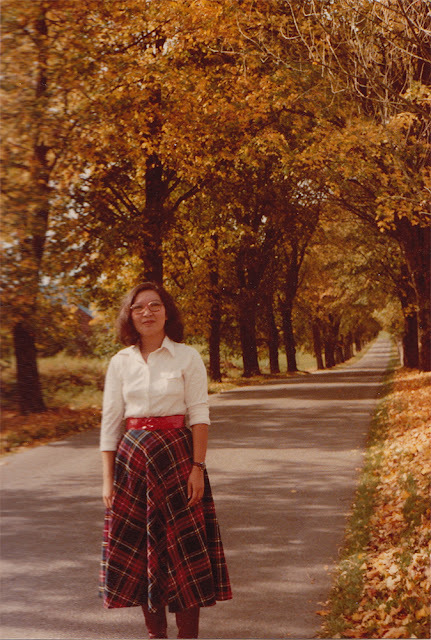 Mum Pham was the youngest of her siblings, and survived by four sisters - one in Melbourne, two in Germany and one in Vietnam. It hurt my heart to relive the loss but we had to for our cousins. They love Mum so much and deserve to know her final days. Little Sissy Pham took the brunt of the struggle and anguish of watching a loved one pass. She was living at home and caring for Mum for her last months. It was traumatising for her but she recounted the heartbreak for our cousins. She told of how Mum Pham was in hospital and saw apparitions wearing white (Vietnamese funeral attire) who told her she was to go with them. That's when she fought with the hospital to be discharged, because she knew it was her time and wanted to be home when she died. In a way it was good because Mum got to pass at home surrounded by her family and loved ones. She told Little Sissy Pham and Big Brother Pham that she was proud of them, and content to leave since her children were all doing well in life. We were raised a welfare family of refugee parents - it was a struggle some of the time, but we all overcame the disadvantages and hurdles life threw at us thanks to mum's sacrifices and hard work. My brother had a trade and family, my sister had a secure job and steady partner, and wildcard me also had steady work in the creative industries even though she didn't really understand what I do. Mum did so much for us kids to get us to this point in our lives where we could take care of ourselves, and care for her and Dad in turn. I haven't told many people this because it hurt too much when it was fresh, and after a while we just never spoke of Mum's passing. My one, only and greatest regret in life is that I never got to say goodbye to Mum. I was living in Melbourne at the time, when Little Sis called me mid-week to say Mum was home from hospital and that I should come visit, she was in denial so didn't tell me how dire Mum's situation was because she still held onto hope that the doctors could bring Mum back from the brink like before. I finished the work week thinking it was like my last visit to Brisbane only a couple months earlier to care for Mum till she was on a path to recovery, and I flew home on a Friday night. But it wasn't like last time at all. This time Mum Pham was waiting up for my arrival home. She was awake when Little Sissy left to pick me up from the airport on the opposite side of town, but by the time I got to the house at 11.30pm, she had fallen asleep. She never regained full consciousness the next day. I'm confident she could hear, but she didn't have strength to open her eyes or speak. She was in too much pain to hug so I just lay next to her, and held her hand and told her how much I love her. But I didn't get a proper farewell or parting words of wisdom, love and appreciation like my siblings because I came home too late. I wish I'd been by Mum's side for her final days of awareness. It was sad but nice to hear Little Sissy retell it to our cousins. I learned details I didn't know before. The days and weeks after Mum passed were a blur of funeral plans, and grieving, and taking care of everyone. I'm glad Mum knew it was her time to go, and content with the lives she helped us build.